On 27th February 2013, after a gruelling assessment, we were awarded the Green Flag! We are really pleased with this achievement! Well done to our ECO Councillors! We had this renewed successfully in the summer of 2015! 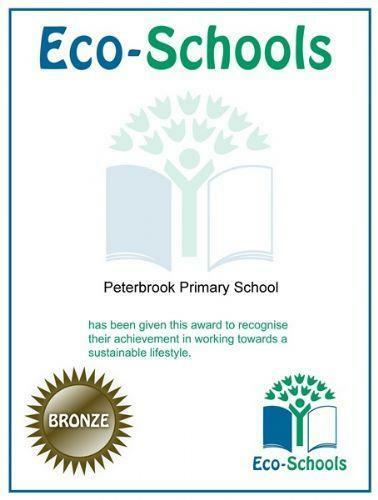 On the 27th March 2008 we were awarded our 'Bronze' award from Eco-Schools. However, as we are Peterbrook Primary School, we did not want to stop there! 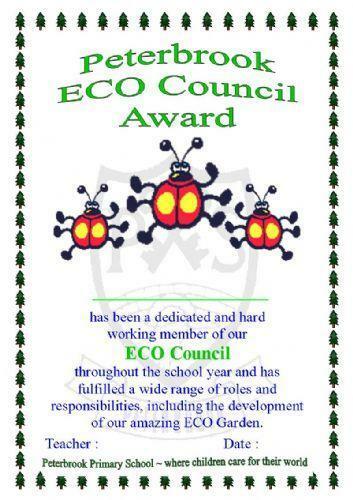 In September 2010, we set up our very first ECO Council, consisting of 12 children, one from each class. We started working towards the 'Silver' award, which involved making significant changes as to how we ran our school. For example, we now have our ECO garden where we grow vegetables to eat as part of our school lunch and we also recycle paper and card each week. 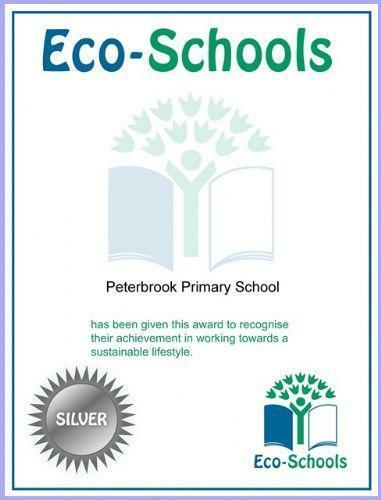 We were presented with the 'Silver' award from Eco-schools on the 10th April 2011. We are now working towards the ultimate 'Green Flag' award, so watch this space! You can see our certificates below. 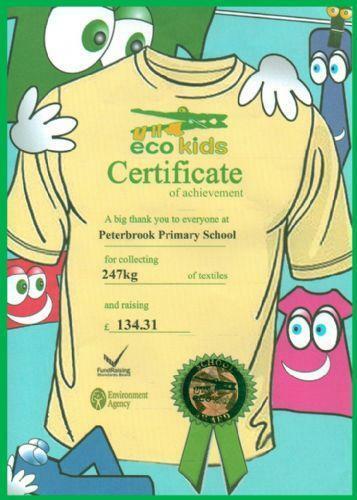 On 29th November 2011, we were awarded £134.31 for collecting 247kg of textiles for the 'eco kids' project. Well done everyone! Now let's see if we can collect even more next term! 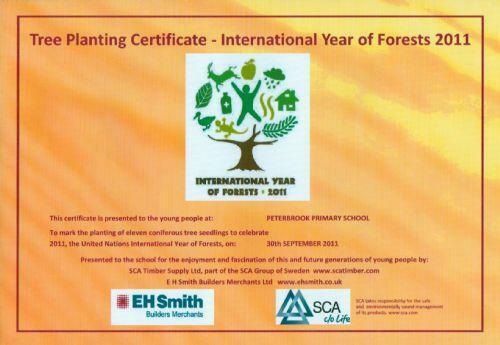 On 30th September 2011, we were awarded a Tree Planting Certificate for planting eleven coniferous tree seedlings. This was to celebrate the 2011, United Nations International Year of Forests. We pride ourselves on rewarding children for a variety of different achievements in all aspects of their school lives. 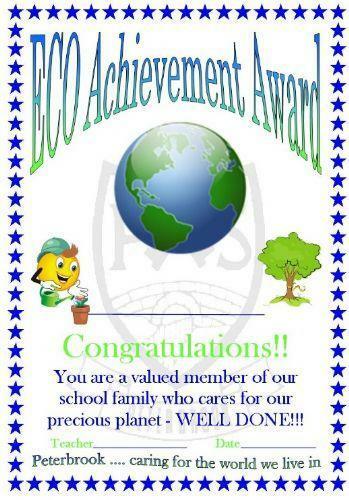 Below is an example of the certificate the ECO councillors could receive throughout the year. Have you done something at home to help the environment, for example, made the effort to switch off electrical items, are having shorter showers etc. If so, please tell Mrs Elsmore or your class Eco-Councillor and we may be able to give you one of these fantastic awards!